RCJ Machado Jiu-Jitsu is the place to be for world class Brazilian Jiu-Jitsu training. Instructors, Mike Madeley and Evan Thompson, are proud to offer classes for students of ALL LEVELS of experience (from no experience at all to accomplished martial artist), fitness (form overweight to super-fit), and age (from 5 years old and up, men and women). 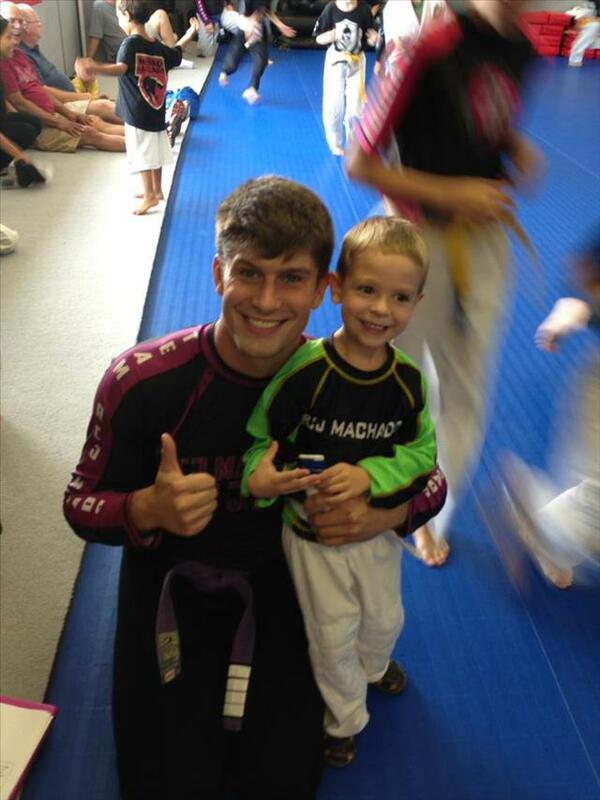 Head Instructor Michael Madeley, a Black Belt under Carlos Machado, has more than 11 years experience in Brazilian Jiu Jitsu, and is dedicated to providing the best training in The Colony/Frisco/McKinney area. 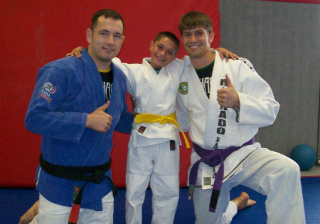 Kids Instructor, Evan Thompson, is a brown belt under Carlos Machado. He also holds black belts in several styles of Martial Arts. He has taught children's classes for over 15 years. He is also a kickboxer/MMA fighter and holds several title belts in Kickboxing. Maybe you want to get in shape, maybe you want to change up your work-out routine, or maybe you just simply want to learn the art of Jiu-Jitsu, whatever your goals or motivations, find what you're looking for at our professional academy in a comfortable family atmosphere. 5201 S. Colony Blvd. Suite 575, The Colony, Texas 75056 ... Tap on the map once to enable zooming.